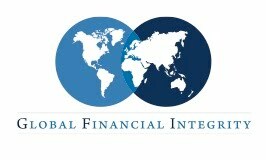 In December 2008 Global Financial Integrity (GFI) published estimates of the scale of illicit financial flows out of developing countries, which reckoned that $850 billion -$1.0 trillion in illicit flows was disappearing from developing countries in 2002-2006. Some economists have sought to criticise such estimates, which are higher than many traditional estimates. However, the report's author Dev Kar, a former Senior Economist at the IMF, has shown convincingly why they are wrong. Now all these outflows have a corresponding inflow somewhere else. For years, while everyone focused on foreign aid (and, occasionally, on "capital flight") almost nobody asked the question: where is all this money going. Well, GFI, along with TJN, are the leading organisations asking this question. GFI has now produced an important new report, estimating where all the money is going. "Our work demonstrates that developed countries are the largest absorbers of cash coming out of developing countries. Developed country banks absorb between 56 percent and 76 percent of such flows, considerably more than offshore financial centers. Thus, the problem of absorption of illicit financial flows is one that rests primarily with Europe and North America, rather more so than with tax havens and secrecy jurisdictions." The policy implication is clear. While developing countries need to implement policies to curtail illicit financial flows, efforts to alleviate poverty and contribute to sustainable growth will be thwarted as long as developed countries permit their banks and cooperating offshore financial centers to facilitate the absorption of illicit funds. " A most important contribution to the literature. The full report is here.